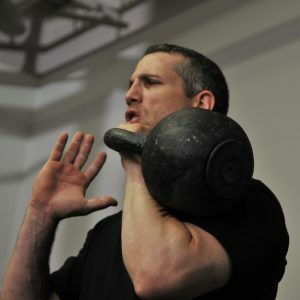 Ready to Shred Body fat and Develop Explosive Strength with Kettlebells? 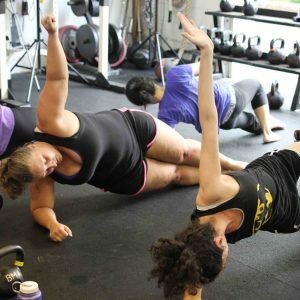 The Baltimore Martial Arts Academy in Catonsville Maryland offers kettlebell training and group kettlebell classes for beginner and advanced students. 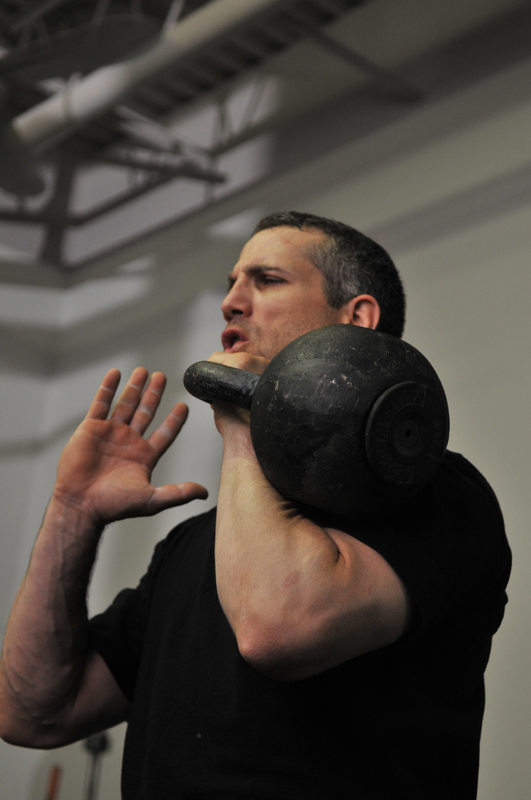 Our Kettlebell classes are fun and and an excellent way to get in phenomenal shape. A kettlebell is a Russian type of hand weight that is shaped like a big cannonball with a handle. Often made out of pure cast iron, they are available in a wide range of weights and sizes. The kettlebell is like a handheld gym that delivers an unparalleled mix of all-purpose strength and conditioning, melts away body fat, and forges a classic, enviable physique. 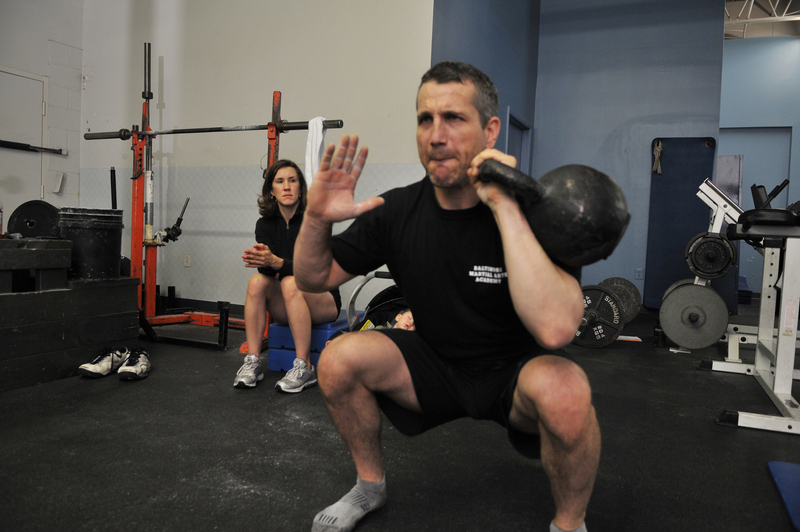 Our beginner kettlebell fitness classes are offered in 30 minute sessions. Once you learn the basics you will be able to attend our regular training sessions that are 1 hour long. Class sizes are limited and must be scheduled in advance by calling 410-465-7799. Unlike traditional weight training programs that designed to build bulky muscles, our kettlebell program uses interval based training that reinforces proper body mechanics and makes you lean and tone. This class will improve strength and conditioning for all sports and deliver intense fat burning results. Kettlebell classes keep your entire core engaged for maximal functional results as well as rapid weight loss. Because kettlebell motions originate in the hips and strengthen the shoulder capsule, they translate into direct improvements in martial arts and other sports, plus they help protect against sports injury. The program itself goes far beyond what simple cardiovascular exercise can do, by reaching into the anaerobic zone. This type of interval training program yields the fastest weight loss results possible for any exercise program. Classes are led by CSCS & RKC II & Strong First Level 2 Certified Kettlebell Instructor Danyelle Berger. She keeps classes moving while ensuring safe use of this amazing fitness tool. Classes are for men and women. 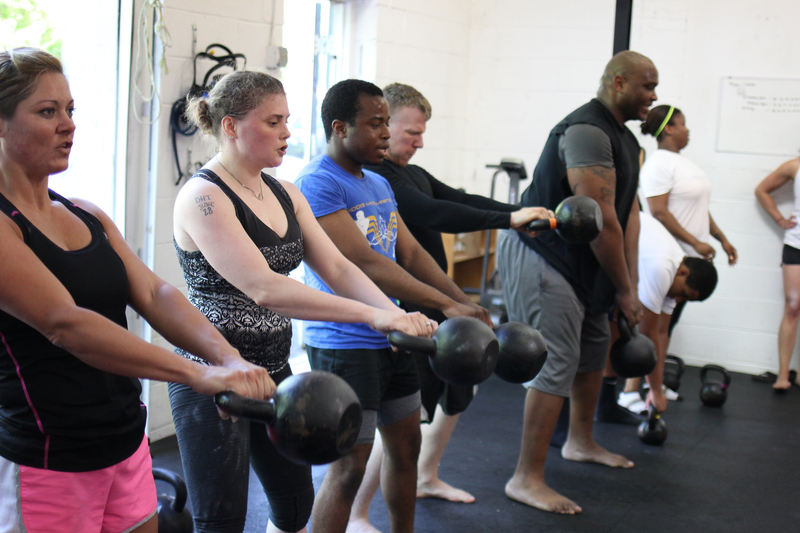 We provide all of the equipment required for class including kettlebells ranging from 14 to 80 pounds. The kettlebell goes way back as it first appeared in a Russian dictionary in 1704 (Cherkikh, 1994). So popular were kettlebells in Tsarist Russia that any strongman or weightlifter was referred to as a girevik, or ‘a kettlebell man’. Although they are just beginning to come into the spotlight; Kettlebells have been used by bodybuilders and fitness enthusiasts for hundreds of years. Kettlebell gyms have spawned all over the country especially in the Metropolitan areas of California and South Florida. 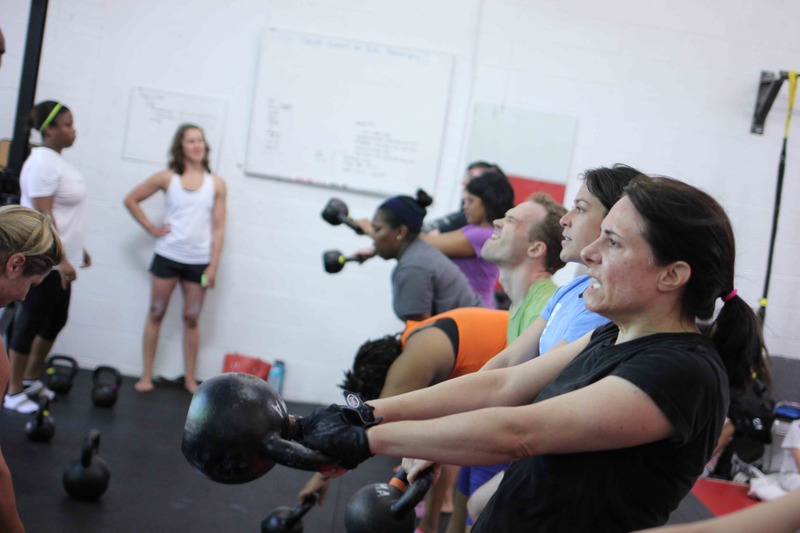 They are becoming increasingly popular on the East Coast and our facility is only one of a few in the Baltimore area that offer Group Kettlebell Classes. Kettlebells gained recognition as a superb weight loss tool when they were featured in the fitness magazine ‘Hercules’ in 1913. In the recent history of the Kettlebell, they have become increasingly popular within the United States thanks to a man named Pavel Tsatsouline. Tsatsouline is a fitness guru who used to be a trainer for not only the United States armed forces but the Soviet Union forces as well. Once the United States noticed that they could not endure as long as their Russian counterparts within competitions, they began incorporating the kettlebell into their training routines. In 1985 a committee for the sport of Kettlebell lifting was created, and the first National Championship for Kettlebells was help in Russia in 1985 with its own set of rules and standards. Today, the Kettlebell is being introduced into the fitness routines of the everyday man, as their benefits have proven them to be one of the most useful tools for building strength. Toning and Strengthening of almost every muscle of the body. Gives you the freedom to get an intensive workout without a Gym. 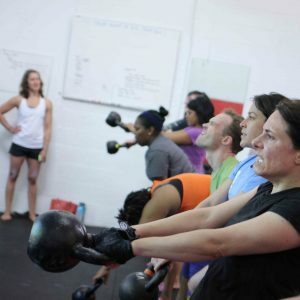 Kettlebell classes at Baltimore Martial Arts. 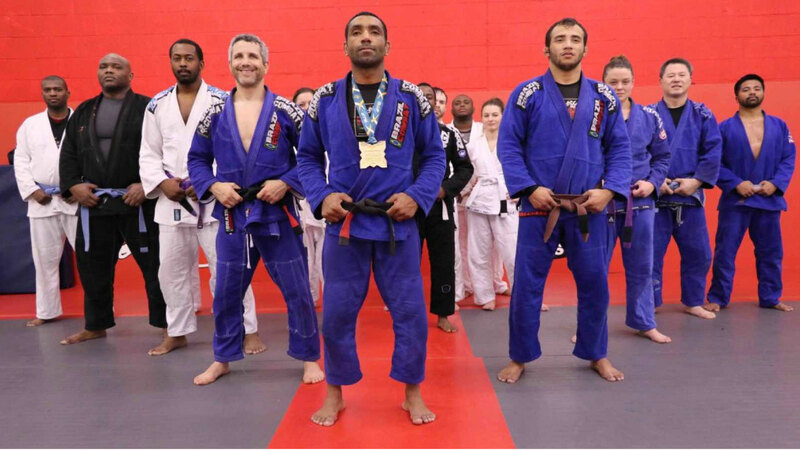 Many of our students have transformed their bodies and have achieved results never thought possible. 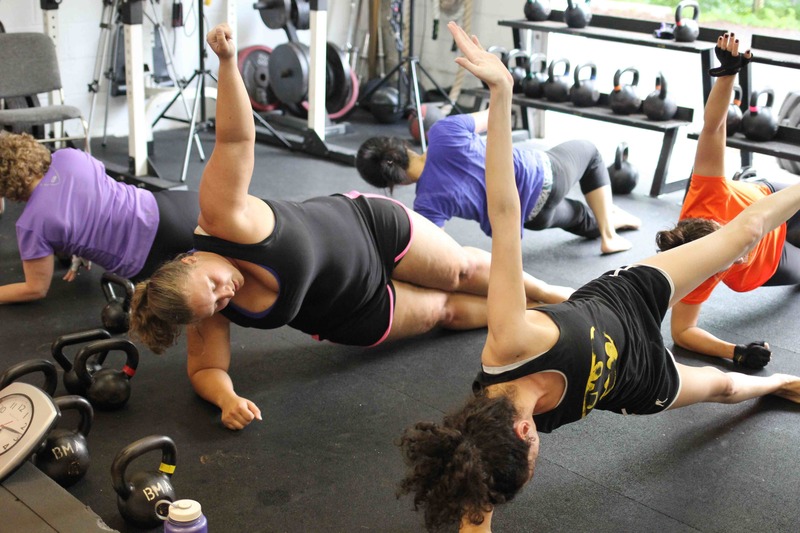 Many of our kettlebell classes are filled with moms and dads who have gotten out of shape because of their hectic life styles and limited time to exercise. Two Kettlebell classes a week are what we prescribe but many of our members supplement their training with another kettlebell class or exercise like kickboxing. Combined with a sensible and proven dietary and nutritional program, our kettlebell training program will help you lose weight, develop muscle tone and change your life for the better.